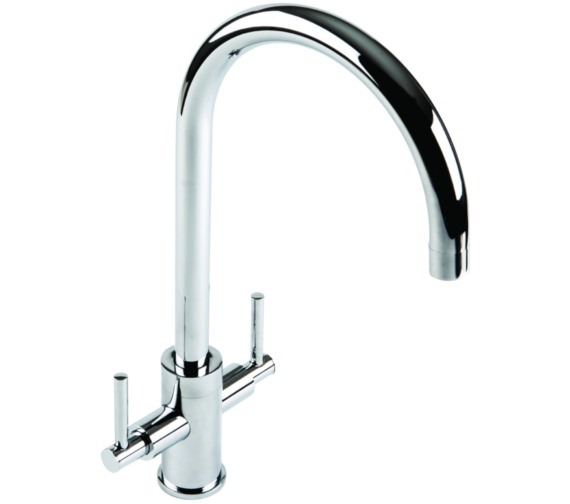 The 1810 Curvato Slim Lever Curved Spout Kitchen Mixer Tap is an elegant and graceful piece perfectly suited to a kitchen space looking to make a statement of style and luxury. 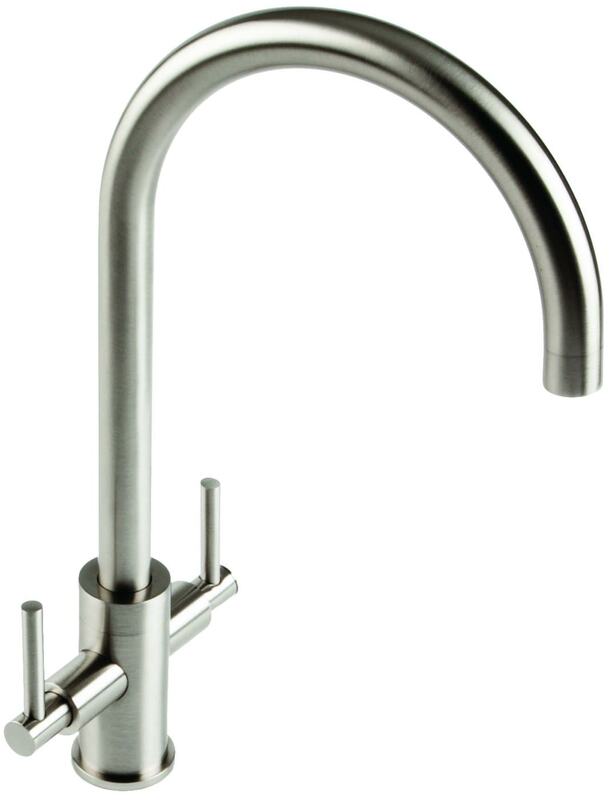 It is a modern take on a classic design and is coolly cast into a monobloc form with a sweeping swan neck spout. 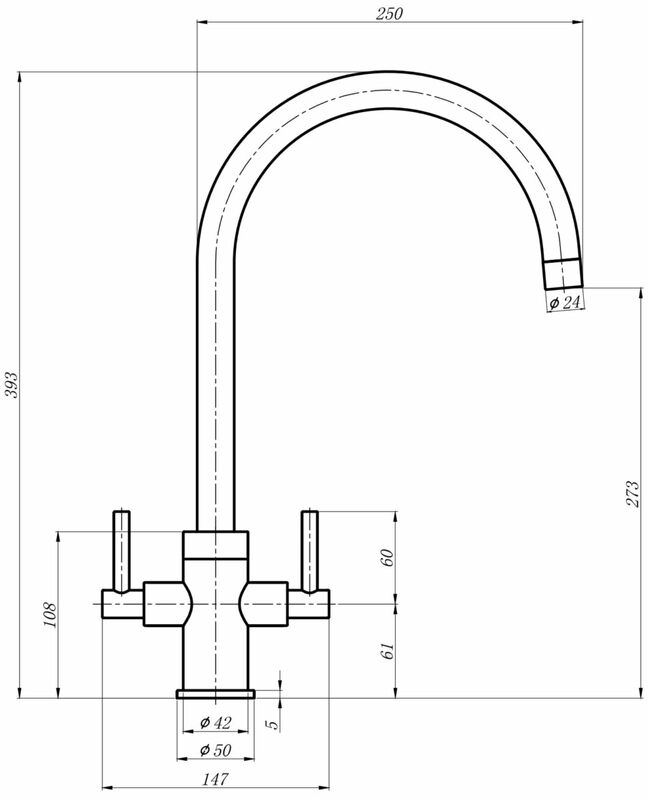 Functionality is ever-present as full control over water flow, and temperature is situated in the dual lever mixer. Presented in either Chrome or Brushed Steel finish, this piece exudes charm and sophistication. 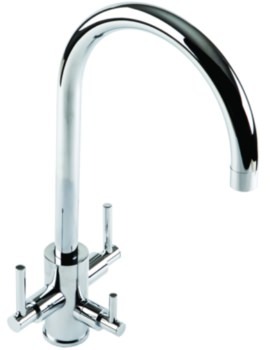 It is fitted with a Neoperl aerator that ensures a non-splash, consistent and creamy flow. 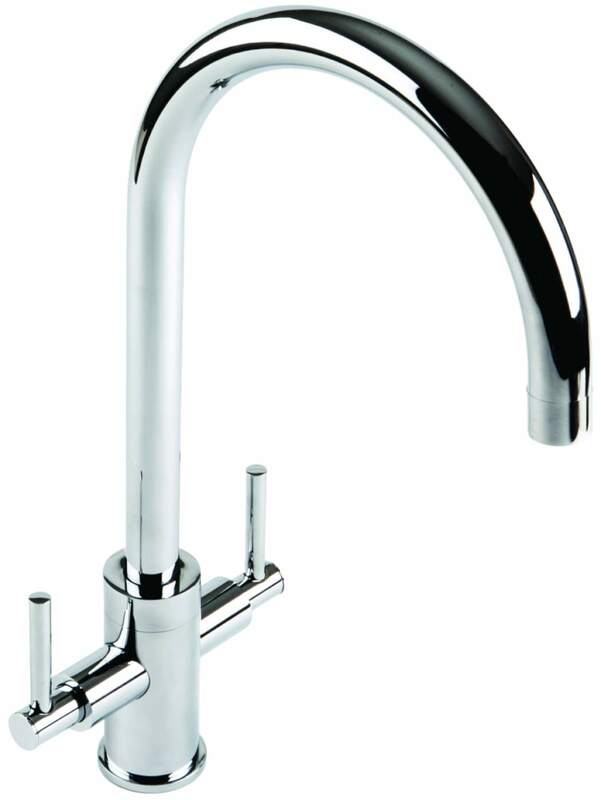 This WRAS approved tap is supplied with flexible tails for easy installation.